Multiple sclerosis (MS) is a disease in which the insulating covers of nerve cells in the brain and spinal cord are damaged. This damage disrupts the ability of parts of the nervous system to communicate, resulting in a range of signs and symptoms, including physical, mental, and sometimes psychiatric problems. 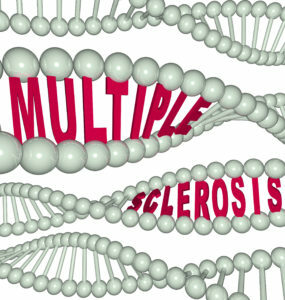 MS is a complex disease and affects people in many varying ways. Physical symptoms often include problems with balance, muscle weakness, spasms and fatigue .These symptoms all affect the ability to manage everyday activities of daily living and often vary from day to day. There may also be problems around bladder control, speech and swallowing. Everyone starts with an in-depth assessment of how their M.S affects them and their daily life. We discuss with them what their main problems are and then go through a physical assessment looking at strengths and weaknesses. Then together we set goals and come up with a treatment plan to suit that person and one that fits in with their individual lifestyle. This may be in the form of advice on exercise and fatigue management, a home exercise or gym programme, advice on aids or technical equipment with regular hands-on therapy to maintain muscle length, joint suppleness and monitoring of posture.